We had something awesome shared with us: meet Stefan Kapicic, the man behind the Russian X-Man, Colossus in the upcoming Deadpool movie! Check out the interview below, and check out the full article on Entertainment Weekly at the link above!!! 1.Did you have previous knowledge of Deadpool? Were you a fan? Yes! I am big comic book geek. I can’t live without them! Deadpool was always one of my favorite characters because of the way he handles all kinds of situations. His style and humor make him the perfect antihero. It’s great finding a comic book character that doesn’t care about following traditional comic book rules like “breaking the fourth wall” and being explicit about everything! This gives Deadpool the arrogance which you just have to love. 2. What was the interview/audition experience like for the role of Colossus? It was such a top secret project from the beginning that I didn’t even know what I was auditioning for. All the characters had different names attached as well. I found out I was up for this while I was working in Belgrade and my manager (at Endorse Management Group from LA) was visiting me on-set where he promised an opportunity to work on a film in the U.S. in the near future. A few weeks later, he called with this secretive role on a film to self-tape. Since that time, this became a three-month experience that I was self-taping from Europe (where I was working in Serbia). It was only after the second round of casting that some of the names were revealed and I figured it out IMMEDIATELY, so it was a much bigger deal for me because I am such a huge fan. I had such great experience with the casting team at FOX. They were so great to me, while giving excellent directions and notes, that I ended up with 120 takes on my third call of auditions. After that, FOX called my manager and requested I come back to my home in Los Angeles (which happened to be the ONLY week between my two theatre performances in Dubrovnik, Croatia and Montenegro) when we were dark. When I was there, I worked at FOX studios with Tim Miller (Director) for the last part of the audition. The session was supposed to be for four hours, but we got inspired and creative, so it continued for eight more hours. After we were done, I flew the 14hr flight back to Montenegro and drove straight to the theatre to perform “Romeo and Juliette.” I was reeling with excitement from that last week in LA, but I couldn’t tell ANYONE about Colossus! 3. Describe the feeling when you found out that you had received the part. I still get chills when I think about it. Amazing! I’ve filmed before in USA, and have more than 80 roles in TV, Film, and theatre, but the feeling of becoming a part of the Marvel Universe as Colossus is incredible! Sometimes you just can’t explain that moment, but when you think about it you feel so happy and proud. This is a dream opportunity! 4. Your voice is used to create Colossus – but did the performance involve motion capture as well? 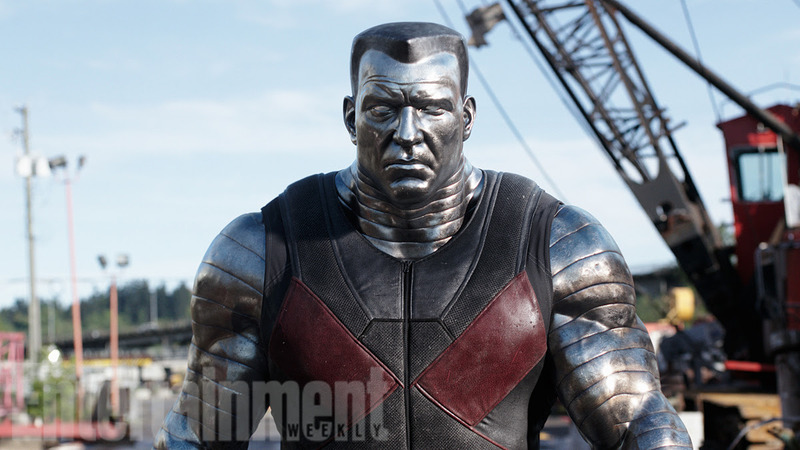 Tim Miller’s idea of Colossus was to be bigger and stronger than everyone else, so for the motion capture they needed an extremely tall man (I’m 6’4”, but he wanted Colossus to be over 7’, so they used a stunt-double to recreate his height, and he did very good job there). Tim also wanted Colossus to sound as close as possible to the comic book character’s background, so he had me to come in, since my voice was what he envisioned for Colossus who has an authentic Russian accent. My character’s voice gives him the past history as Piotr Nikolayevich Rasputin once you hear him speak. This made him the most authentic to the original idea of the comic book character. 5. How is Colossus’s voice different from your own? What were you attempting to achieve with the voice? Giving the voice and expressions to a character is giving it a soul. It is a specific type of acting and it must be precise as it has to bring a character to life. We had been trying all sorts of depths–both vocal and emotional–while playing with variations of Russian accents to give a range to the role until we finally got what the director wanted. It was such an amazing process and all the hard work payed off! I cannot wait for everyone to enjoy it! Colossus’s voice is not much different than mine as the director loved my natural color and range of voice, so we kept it and worked more on the Russian accent. The best note I received was to be authentic. 6. Were you aware how close the movie was to being finished when you worked on your part? Yes, I was aware, so I knew how important was to make a perfect Colossus. We worked our best to make him a well-known character–an original from the comic book–because of the huge fan base that Colossus has. 7. Tell me what it was like to work with Ryan Reynolds? And also Tim Miller? There is no actor in the world with such talent and charm that could play Deadpool as well as Ryan Reynolds. Working with him was a fantastic experience, and his ideas and suggestions helped me out a lot. 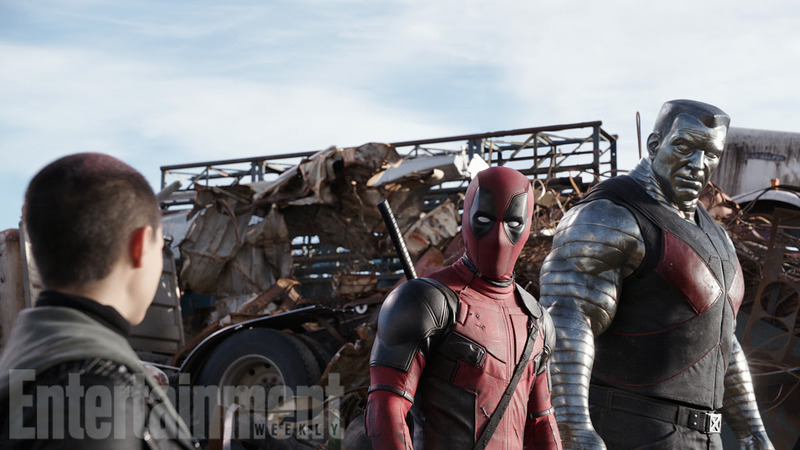 It was just great fun to work one-on-one as Deadpool and Colossus. I worked with many directors in my life, but Tim Miller is definitely my favorite. He not only has a beautiful sense of directing actors, but he also shares a great love and passion for the comic book world, as I do. I enjoyed working and spending time talking with him. He is an exceptional man and friend and I can never thank him enough for this opportunity that he gave me. 8. I noticed on Twitter that you made a reference to the upcoming news about your casting in Deadpool and used the hashtag #dreamscometrue. Explain how this is a dream come true for you. My grandfather bought me my first marvel comic book when I was six years old, and since then, it has been an ongoing love. It was an X-Men comic book. Becoming a part of the Marvel Universe was my childhood dream. Like most kids growing up, I read a lot of comic books and acted out some of the characters with friends. Since I can remember, I wanted to be a superhero, so it’s not just a movie for me–or just another role–it’s a fulfillment of my dreams on so many levels. Previous THE UNBELIEVABLE GWENPOOL #1 Explodes Into Comic Shops This April!